My daughter visited us from Utah and we watched a great anime together (she’s big on anime, and I like them from time to time). She picked a good one; Petema Inverted by Yasuhiro Yoshiura. I went into it totally blind, I had no idea what to expect, and the whole time I was trying to figure out where this one fit in. Was it sci-fi? Coming of Age YA? Fantasy with who knows what types of weirdness that the Japanese like to throw at you sometimes? Would horrible monsters come in to kill everyone the cute little girl loved? 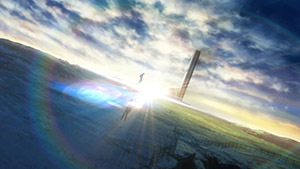 We were both thinking sci-fi as there was mechanical things and modern like buildings, also they talked about how “their scientists tried to harness the energy of gravity itself” leading towards a sci-fi theme. We had a running theory that they were really on a space colony and that there was no actual planet at all. That the people had all forgotten this and somehow messed up the anti-grav. However (and I won’t spoiler anyone here) the ending just kind of threw that whole theory out the window!! After watching it, like any good item of art, it left me thinking about it for days. (See… I’m still thinking about it!) So off to the net I go and find that it is listed as a fantasy! Which got me thinking about a post I read on genres and the cleaver mixing of them that goes on in the creative minds of authors in all mediums. 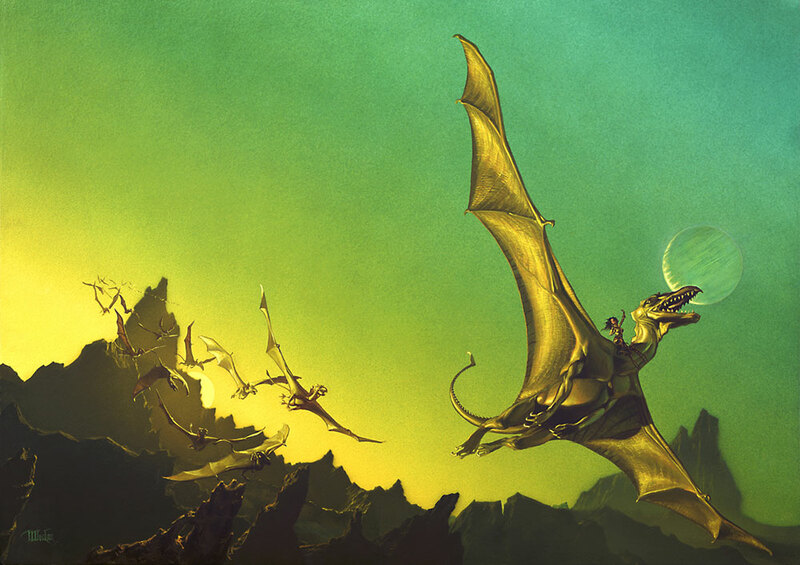 A book series I have loved for a long time, which also confused me on genre, is Anne McCaffrey’s Dragonriders of Pern. I started with Dragonflight and assumed, because of the dragons, that it was a fantasy. I read that one, and the next one Dragonquest still believing this was a fantasy series even though it said sci-fi right on the spine. I already knew that people had a tendency to lump sci-fi, fantasy, and horror all together for some reason. It wasn’t till The White Dragon that I conceded that, ok, this was a sci-fi, and pretty much gave up the argument when Dragonsdawn came out. However, I still think of these books as crossover books, ones that blur the lines of genre and mix them together. Another long and winding series that likes to throw genre to the wind is Terry Brooks’ Shannara Series. I have not read them all, but they are favorites of my husband so I know much about them. There’s nothing like walking through a wonderful fantasy world with elves and magic only to stumble upon a modern world wreck! Your brain goes “WHAAAAAAAT?” and your heart gets all thumpy because….. if there can be magic in a modern world….. then perhaps there is magic here right now!!! Which of course is what every true fantasy buff dreams about! 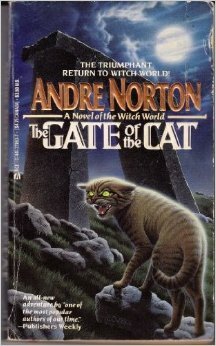 Another all-time favorite of mine is the late, great Andre Norton and her Witchworld series. OH what I wouldn’t give to find one of her GATES!!!! Often I have wondered why people have such trouble with genre; if there’s magic its fantasy, if there’s science its sci-fi, if there’s monsters its horror, until I wrote my first novel and realized I have no clue what genre it should be in! It can certainly be thrown in Young Adult, as the main character is a teen, but even I don’t know the root cause of her main woe, so how am I to know where to put it? The more I think about the possibilities the more I don’t want to decide! Is that how these other authors ended up with such confusing genres? Or did they mix them on purpose? We authors often start a story with ‘what if’ and we readers often say ‘yeah and?’ so there is a clear market for crossovers. Figuring out what genre a book or movie belongs in is really a moot point anyway. The true power lies in the story and the execution of that story. Yet as humans we constantly want to know where things lie in the scheme of things it seems, so we keep trying to fit that star into the square hole when no star holes present themselves. • If you’re an author, do you write crossovers? On purpose or on accident? • If you’re a reader of crossovers, do you like them? Seek them out on purpose? Or are you a genre purist? 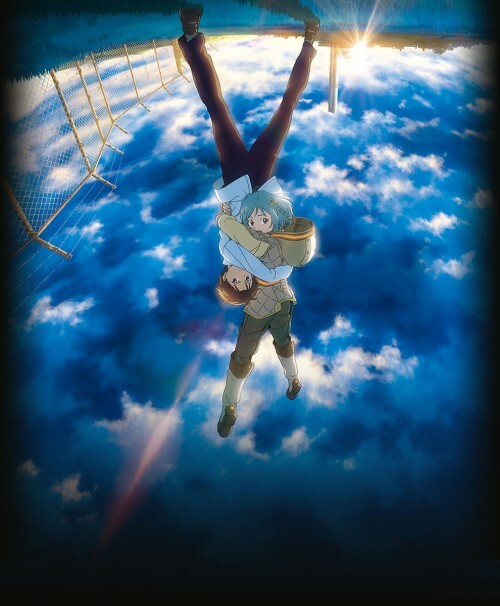 This entry was posted in books Ive read, Uncategorized and tagged Andre Norton, anime, Anne McCaffrey, book, Genre, novel, Petema Inverted, Terry Brooks. Bookmark the permalink.